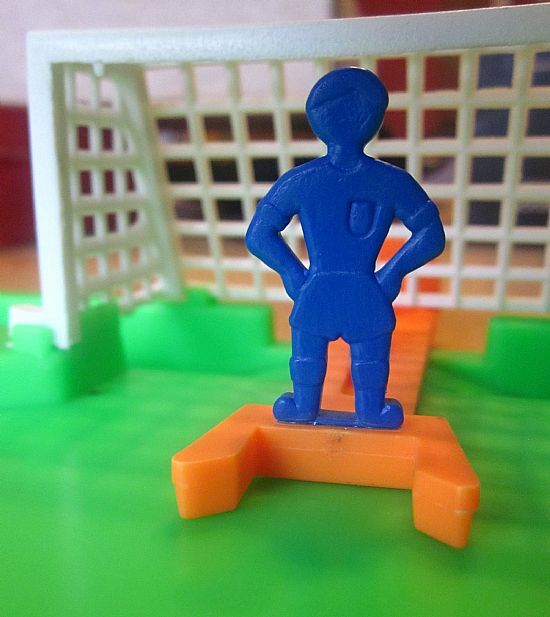 All the carnival chaos and passion of a latin world cup in the form of a cheap plastic toy (or maybe not!). 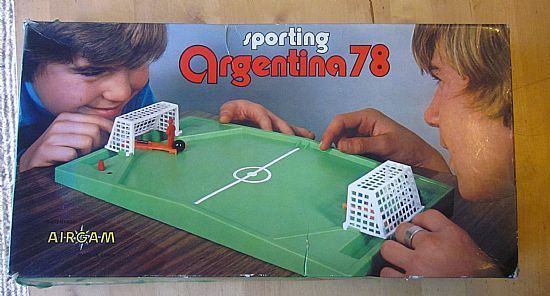 A nice simple game that possibly lacks a little of the spice and corruption that was seen at Argentina 78! 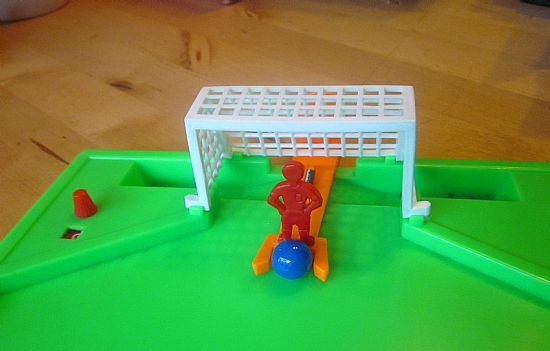 Kempes, Ardiles, Passarela, ticker tape, none of that found in this simple little game. 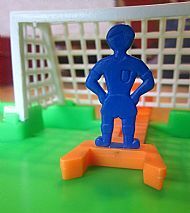 Plastic moulded pitch with detachable goals, moveable keepers and spring loaded rods to shoot the ball across the pitch. Nice simple design, well made. The only bit of detail in the game is the shirt badge! 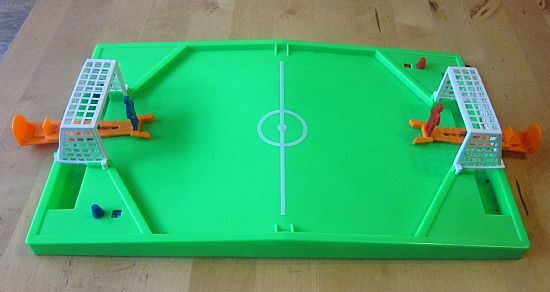 Nicely designed spring loaded rods form the basis of the game play.